The geodata department of the city of Berlin offers a great portfolio of free geodata for everyone to use. 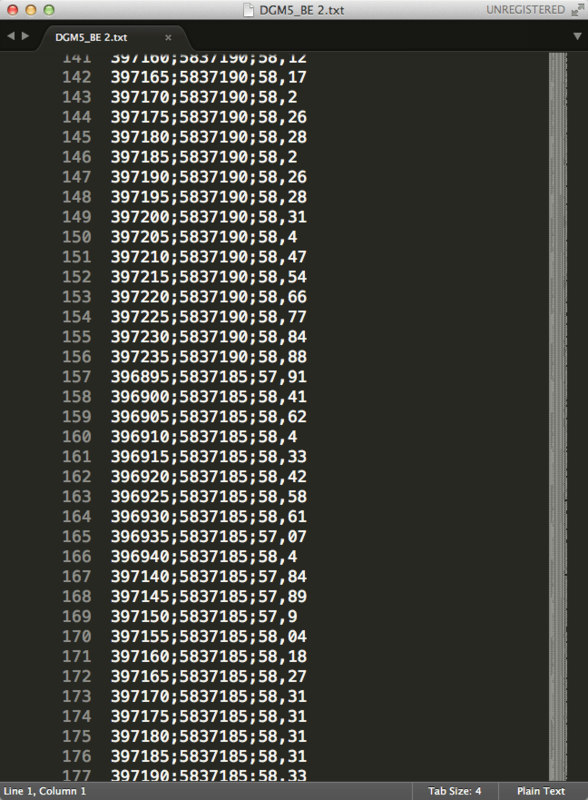 One dataset is the result of some LIDAR measurements and is offered as a txt with x,y and d values. This is commonly known as xyz data but should not be mistaken as a simple whatever-delimited text file. This dataset is regular spaced and therefore can be threatened easily with QGIS. But let me first show you some interpolation results which can be produced as well. 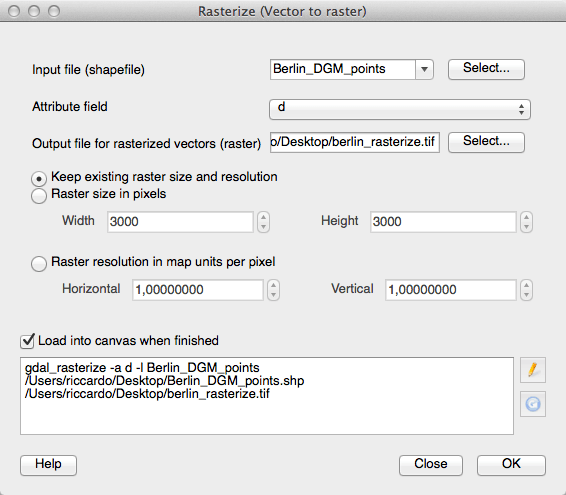 If you want to create raster data from a point shapefile or a list of coordinates you normally think in the direction of TINs, IDW, kriging, and other more or less advanced interpolation techniques. QGIS offers TIN and IDW out of the box. 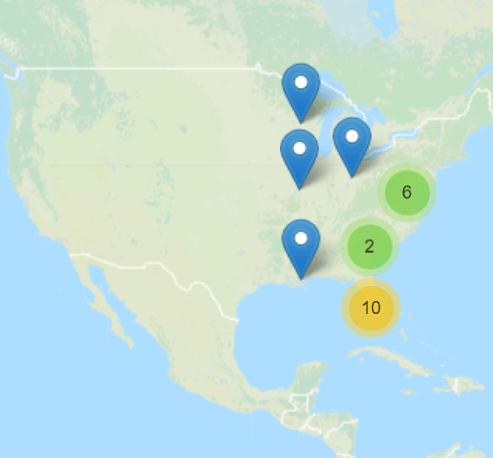 As I was afraid to select the whole 2.5GB point shapefile as input, I’ve tried with a small subset of points. But first: what does the data look like? The IDW looked best to me, but it was also very lame in computing. And thinking about it once more: I don’t need to interpolate!